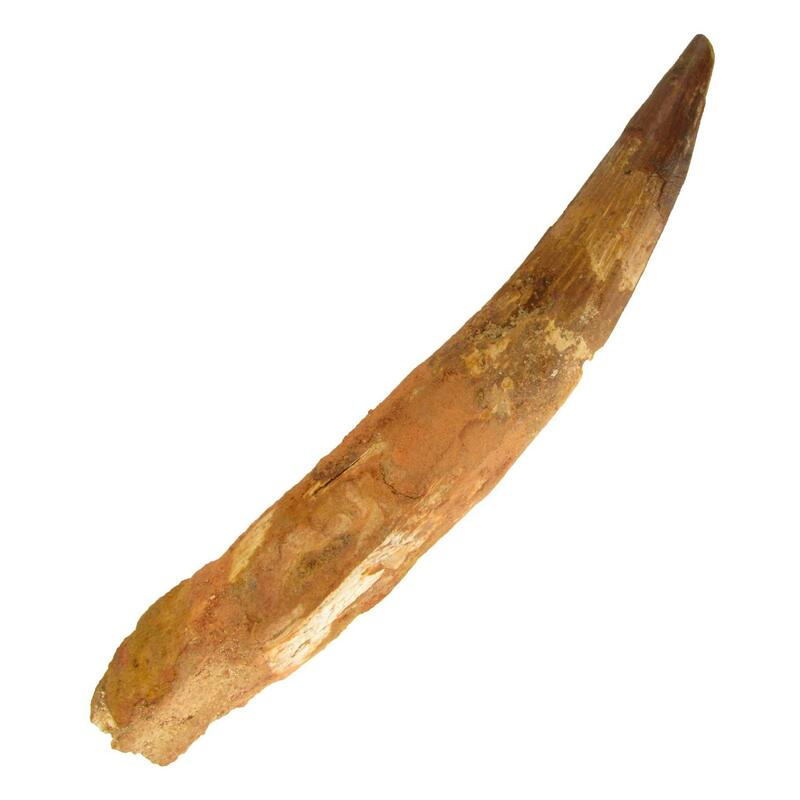 This Spinosaurus Tooth is 4 inches long and 1.5 inches across the base of the tooth. It has some repair. It comes from Kem Kem, Morocco. Spinosaurus lived during the Cretaceous Period. It was a large carniverous dinosaur.